Charles Hylton Stewart; Charles Villiers Stanford; Clement Cotterill Scholefield; Felix Mendelssohn; Gregorio Allegri;... Very Good. In very good packaging. 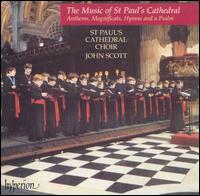 John Scott-The Music of St Paul's by John Scott.